Radiohead Fans: Are They Nice, Or Just Plain Crazy? Economists everywhere are no doubt scratching their heads, wondering why in the world a bunch of consumers would pay more for something they can get for free. Apparently this goes against everything you learned in Microecon class. As this editorial puts it, the rational people were the ones paying “0.00” at checkout for Radiohead’s latest album. 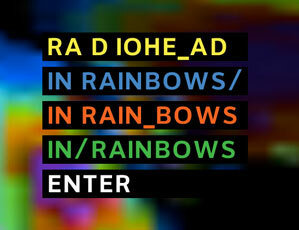 But “In Rainbows” did pretty well for itself, despite having a list price of zero bucks. A third of downloads paid just that… $0. But some people paid over 20 dollars for it. One company shelled out $1,000 (even if it was just for the PR). People tip all the time, so giving a little more than we have to isn’t a new concept. But what exactly drives that attitude of giving something when you could have given nothing? It could be the satisfaction of stickin’ it to the man. Record labels don’t exactly have the best reputation at the moment, what with their stars dropping like flies. Some people suggest that maybe being able to bypass the industry was what fueled the $8 average price of their album. Then again, maybe the fans just like the idea of giving Radiohead more money. This is largely a personal question that can’t be answered with raw economic theory. Only you know why you did it. But the bottom line is that the industry is based on economical laws, and if the fans can find a way to re-invent a new business plan then we may see a revolution yet.